That’s not a bias — It seemed like all week people were trying to sell me on the idea that Alaska Dispatch News columnist Mike Dingman writing a column favorable of Jeff Landfield was biased or failed to disclose pertinent info because he donated $31 to Landfield’s campaign. That troubles me, not because it’s biased, but because it puts me in the position of defending Dingman. Writing a column favoring someone and donating to them are both forms of speech indicating that you think they are good choices, so there’s no hypocrisy or contradiction in Dingman’s positions. It’s also not inappropriate bias or failure to disclose, because Dingman gave Landfield money–not the other way around. The biggest thing, however, is that $31 is such a de minimus ammount it doesn’t matter in any way. Not to mention, Dingman is a columnist, his job with the ADN is to write opinion pieces. Its just not a big deal. 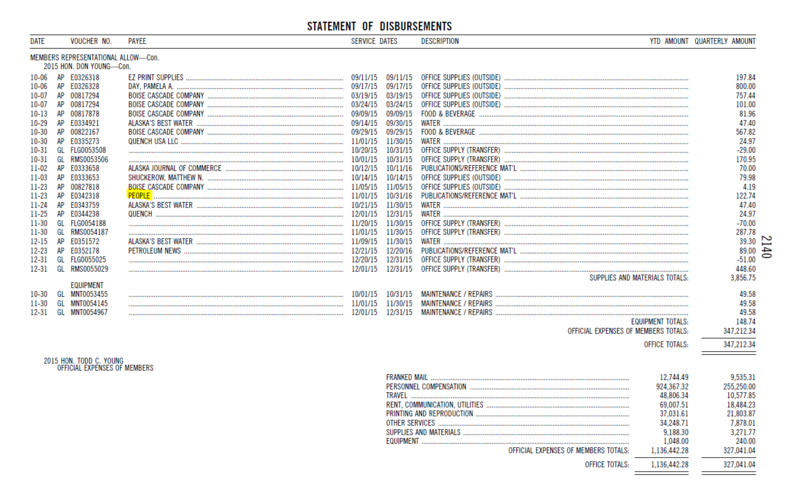 This is a bias — Now, if you want to see unreported bias, try this: On an almost-daily basis Dave Stieren has talked about state issues, unfortunately, to my knowledge he forgot to tell any of his listeners that, according to APOC records on November 6, his company charged Sen. Cathy Giessel’s campaign $700 for “one hour strategy planning” and an evite design. That must have been some advice and a hell of an evite. Small as it is, that actually counts as unreported bias. Really? $20K? That’s all? 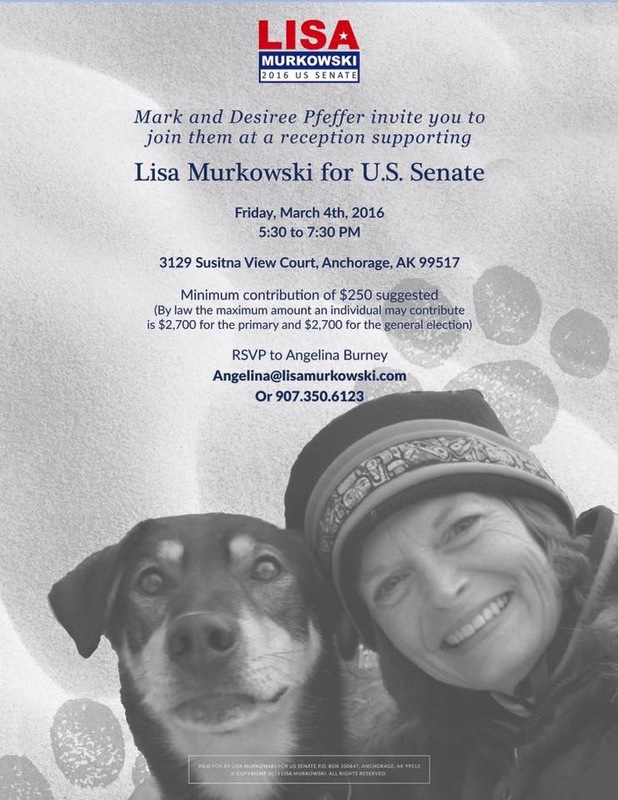 Lisa Murkowski raised $3.3 million in 2015 alone. Is she in? — Rumors are mounting that former Anchorage School Board member Crystal Kennedy will be challenging Rep. Lora Reinbold in the Republican primary for her Eagle River state house seat. It was a Party party — Tuesday was a fun night for those of us who made it so. The Alaska Republican Party set up a nice space at the Anchorage Lofts Hotel downtown for politicos of all kinds to watch the returns roll in. Sadly it was sparse, but spirited including Angelina and Erik Burney, Jeff Landfield, Sam Moore, Cale Green, Frank McQueary, Peter Goldberg, Andy Clary, Elisha Waugh, Myranda Walso, Amanda Coyne, and Josh Walton. Oh, and how could I forget Assembly candidate Nicholas Begich, who Republicans really seem to be taking a liking to. Speaking of GOP stuff — While at the Party party, I asked GOP Chairman Peter Goldberg how his running for national committeeman would work. His term as Chairman doesn’t end until after the general election in November, so would he have to resign as Chairman, or get to hold both positions, and both votes at the GOP national convention in July at the same time? Goldberg told me party rules bar him from holding both positions, so he would have to resign as Chairman to take the position of national committeeman, but not until after the national convention. That would leave Republicans a choice: to have Vice-Chairman Frank McQueary ascend and be the party’s face during the elections, or let whomever wins the Chairman’s election at the state convention in late April take over early. That could be a fun decision to watch, if it even happens. More Alaska GOP Chairman stuff — Earlier this week we reported that Tuckerman Babcock and Ann Brown had both officially thrown their hats in the ring for state party chairman. I’m hearing District 20 chairman and self-described “member of the Reagan team” Ric Davidge will also be throwing his hat into the ring. Hello Hillary — Last night Hillary Clinton’s crew opened a campaign office in Anchorage as they ramp up for the Alaska’s caucuses. In attendance were Former Lt. Governor Stephen McAlpine, Jim Nordlund, Julie Hasquet, Susanne Fleek-Green, Amy Coffman, Nora Morse, Travis Smith, Kay Brown, Jim Posey, and Theresa Obermeyer. What was interesting wasn’t who was there, but the multitude of who wasn’t. Where were the elected Dems (at least any that have been elected in the past decade)? There was no Ethan Berkowitz, Mark Begich, Tony Knowles, Byron Mallott, Elvi Gray-Jackson, Patrick Flynn, etc. For any one of them to not be there is explainable. For none to be there is notable. It may be an indication Republican claims that they have the more energized electorate are accurate. Anti-Gaydar — Some of the folks at Mark Begich’s new-to-Alaska political consulting firm Hilltop Public Solutions were in town this week. 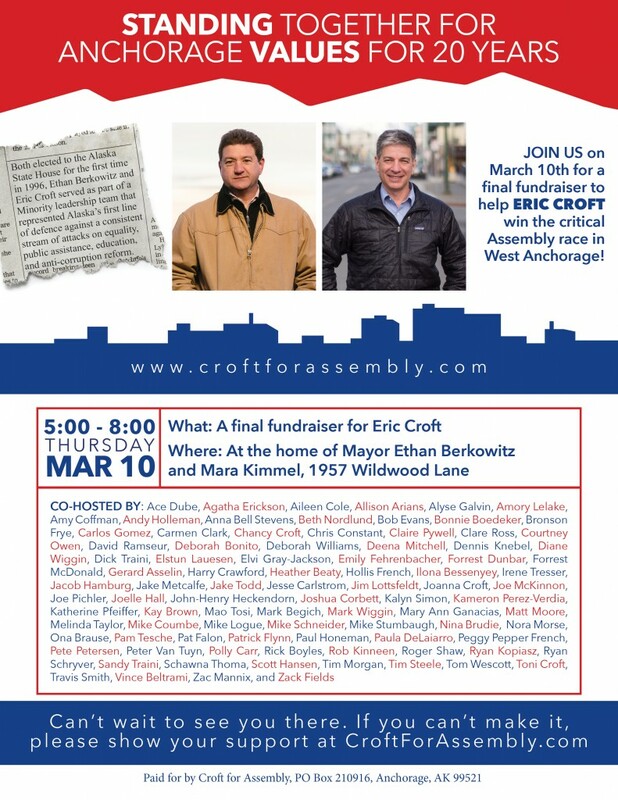 They have been hired to run the campaign against the repeal of the anti discrimination ordinance the Anchorage Assembly passed last fall. They already have a name for the effort–Fair Anchorage–and a Facebook page and website. Where are the social conservative warriors that filed the petition to repeal the ordinance who promised lawsuits? Since the city smacked down their ballot language in early December, no one has heard from them. I’ve been told the group frontwoman Bernadette Wilson, who everyone assumed would be hired on to front the campaign, was cold-calling assembly candidates looking for a gig, so maybe this thing isn’t moving anytime soon. 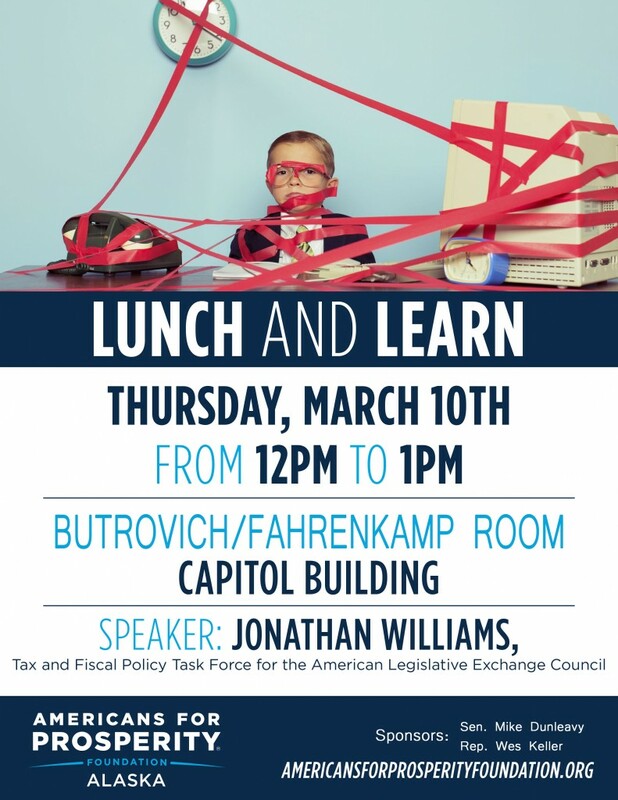 AK in D.C. — Seen having dinner at the swanky Capitol Hill bistro Bearnaise was our Senator Lisa Murkowski, her Chief of Staff Mike “Fish” Pawlowski, and Alaska lobbyist Jim Lottsfeldt. Also seen kicking around the Hill were group of ANCSA CEOs and their Executive Director Kim Reitmeier, Alaska Airlines’ Senior VP Joe Sprague, and Juneau lobbyist Bob Evans. Be the first to comment on "Friday in the Sun!!! (March 4)"